Statement lighting is one of the best ways to add personality and style to a space. Even more so if you have a preference for the simple like natural materials, clean lines and a softer color palette, incorporating a bold lighting choice is a way to contrast other, less noticeable elements of your space. 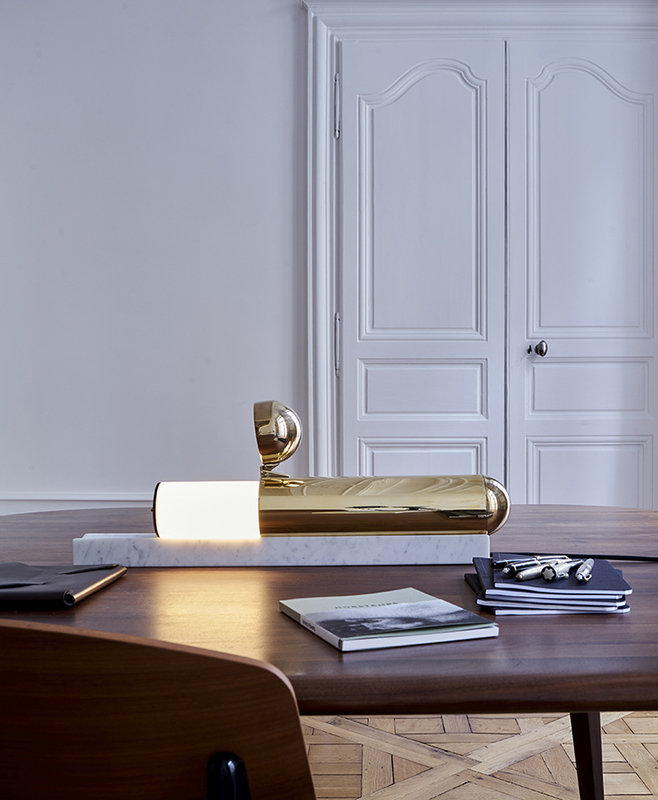 Some of my most favorite lighting right now has some brass and metal element to it and this torch-like lamp, called ISP is exactly what I'm talking about. Designed by Ilia Sergeevich Potemine for DCW Editions and it took an engineer over 18 months to work out all its technical aspects. With no bulbs and no switches ISP's light rests completely inside a brass sheath but that can be pulled out for optimum lighting. 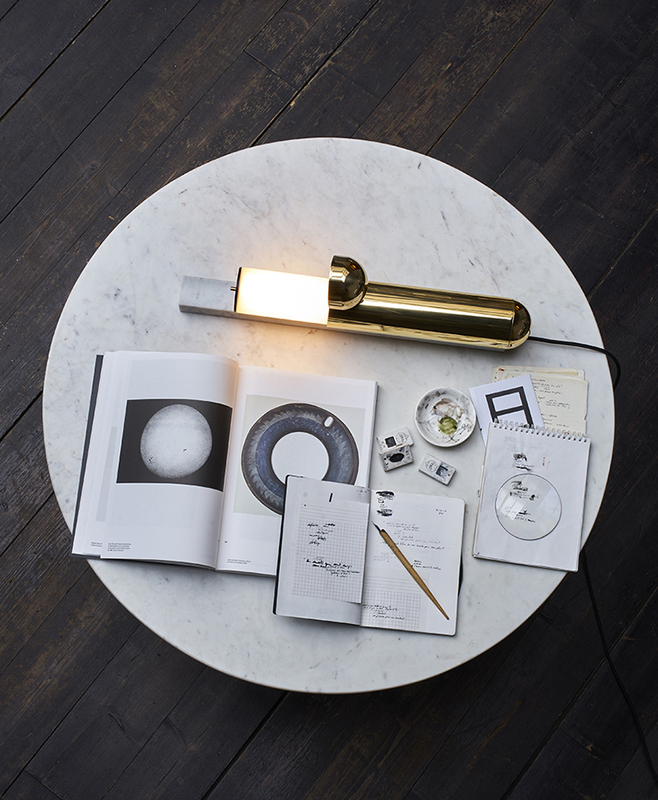 The lamp works most obviously as a table lamp but can also serve as a paper weight on a desk, a piece of art for your mantle or atop a stack of large books on a side table as a wall mounted lamp which can be used bedside or to light a dim hallway. The design is both minimal and striking with it's sleek design and luxurious materials, making it the perfect statement piece to bring that extra dose of style!